Have you been federally charged with wire fraud for an internet or email scheme? Mail and wire fraud are some of the most common schemes committed in the U.S. You can be charged with mail fraud if you use the United States Postal Service or any mail drop or private postal services (such as UPS or FedEx) to send any materials that are related to a scheme to commit fraud. Similarly, you can be charged with the federal crime of wire fraud if you used a telephone, interstate wires, or the internet as a means to further a fraudulent scheme. Though these elements seem simple enough, there are some terms that require further clarification. Put more simply, fraud is essentially the knowing or reckless misrepresentation of a material fact for the purpose of depriving someone of a valuable thing. This means that you knew that what you represented to the other person was not true, or that you represented to the other person something as true that you knew was potentially false or fraudulent. The misrepresentation must concern a material fact, which means the fact must be something important that the victim would consider in making his or her decision. It also must be something that would fool a person of “ordinary prudence”. This means that the misrepresentation cannot be something so outrageous that the average careful person would not believe to be true. Causing something to be delivered by mail, such as asking someone else to put the materials into a mailbox on your behalf. Under this statute, “wire communication” means transmitting, receiving, or causing something to be transmitted or received through radio signal, television signal, an interstate telephone or electronic communication in furtherance of the scheme.2 This can include text or instant messaging, cellular calls, or Internet-based communications of any kind. A mail or wire fraud conviction requires that you specifically intended to deceive or defraud someone else. This means the prosecution must show that you knew about the fraud scheme, and that you had the specific goal of committing fraud when you placed the materials in the mail, or transmitted them through electronic communications. If you are convicted of federal mail fraud or wire fraud, you face up to 20 years in state prison. Senior/Elder fraud (fraud that targets the elderly). However, because mail and wire fraud are federal crimes, you could be subject to trials in both federal and state courts, depending on your case. If you are convicted of mail or wire fraud, you face a sentence of 20 years in federal prison, a fine of up to $250,000 ($500,000 for organizations), or both prison and fine. However, if the fraud targeted any benefit related to a presidentially declared disaster or emergency, or if it affects a financial institution, you face a sentence of up to 30 years in federal prison and a fine of up to $1,000,000. Lack of Knowledge – In order for you top be convicted, prosecution must prove that you knew of the fraudulent scheme. In many cases, people are charged with mail or wire fraud because they are unwitting accomplices to a fraud being perpetrated by their superiors at work, who ask them to place materials in support of the fraud in the mail, or to send out fraudulent email messages. If you did not know that you were participating in the scheme, you should not be convicted of mail or wire fraud. Lack of Intent – The prosecution must also prove that you intended to commit fraud. For example, if you reasonably believed the material facts or matters specified through your communication to be true, but were unable to meet these terms due to extenuating factors that occurred after the fact, you should not be convicted of fraud. However, you could face civil consequences if the alleged victim suffered any loss, regardless of your intent. Insufficient Evidence ­­– If there are any inconsistencies or weaknesses in the evidence presented by the prosecution, your attorney may be able to use this in your favor. For example, let’s say you are being federally charged with wire fraud because a scheme was allegedly traced back to your email address. However, records show that the email address was not active for a significant period prior to the alleged incident. Your attorney may argue that someone could have hacked your email address while it was inactive and that the evidence does not show beyond a reasonable doubt that you are guilty of this crime. In this scenario, you should not be convicted of wire fraud. If the other person suffers no actual loss, can I still be charged with mail fraud? Yes. Under 18 U.S.C. 1341 and 1343, mail or wire fraud does not require that the alleged victim of the fraud actually suffer a loss. The crime is complete the moment the materials related to the scheme are dropped in the mail or transmitted by electronic communication, regardless of whether the fraud is ultimately successful. Can I be charged with mail fraud if I used the mail only after the alleged victim of fraud has already provided me with money? Yes, provided the materials you sent continued to support the scheme. This was the case in United States v. Price, where the court ruled that although the defendant had received the money from his fraudulent scheme prior to using the mail, the letters he sent were in support of the fraud because they were designed to “lull his customers into inaction and to postpone detection of his scheme.”3 Thus, if you allegedly commit a fraud and receive money from an alleged victim, and then subsequently send letters in an effort to convince the alleged victim of the legitimacy of the scheme so that they do not call authorities to investigate, your letters would be in furtherance of the alleged fraud, and you would then be subject to mail fraud charges. Can I be charged with mail or wire fraud if my messages were delivered to a person I did not intend to send them to? Yes. In fact, you do not have to have a specific person in mind when you send out the materials in support of the fraud. Mail and wire fraud laws only require an intent to defraud “someone,” which can be either a specific person who you intended to receive the messages, or anyone who may have inadvertently seen the messages. If you or a loved one is facing mail fraud charges, it is critical that you speak to an experienced criminal defense attorney as soon as possible. 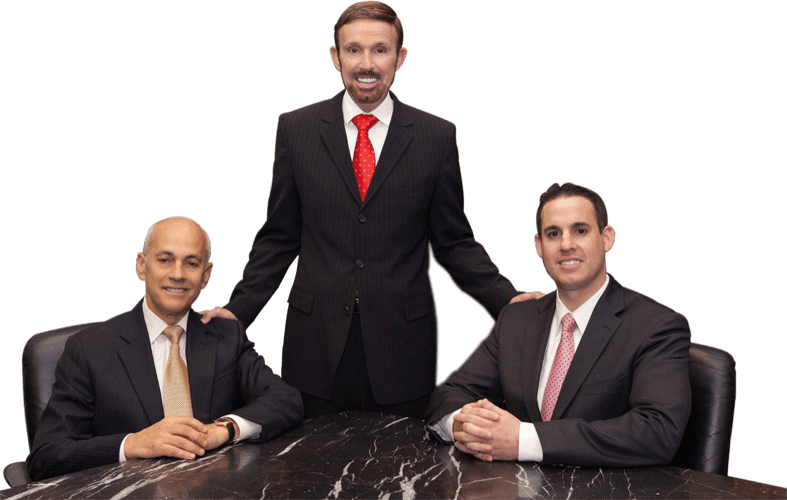 At Wallin & Klarich, our attorneys have over 30 years of experience successfully those charged with federal crimes. We can help you, too. We are committed to providing you with the personal attention you deserve, and to helping you overcome this difficult situation.